We first met in 2010 and was introduced to each other by our mutual friend Lucy who was one of our bridesmaids. I had booked to go travelling to Australia early December and even though it was hard leaving I still went. If you ask anyone they will say Tim went into hibernation while I was away. We spoke every day on skype, sometimes twice a day due to the time difference. I returned home 3 months later, and we have never really left each other’s side since. I moved in with Tim and his parents where we stayed for a few years until we moved into our house. Our wedding day was the best day of our lives, everything was perfect from start to finish. 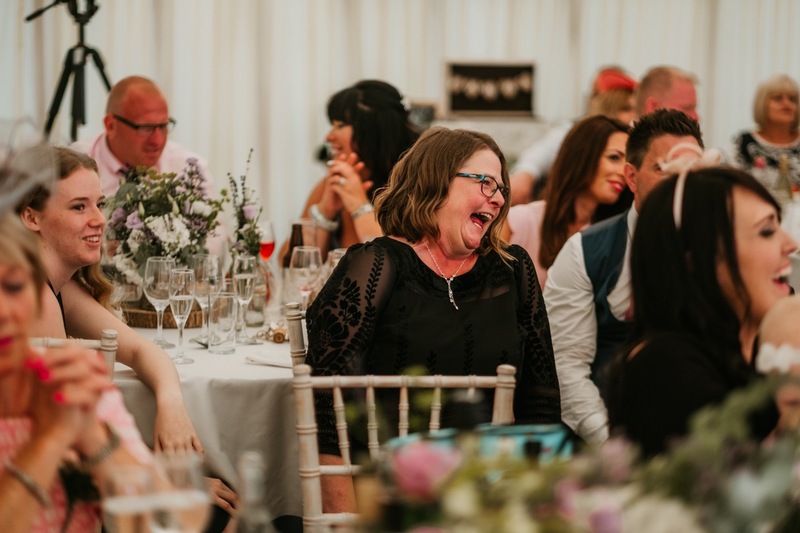 The weather was perfect for an outdoor wedding, we love looking back on photos and videos and seeing everyone enjoying outside in the sun with the beautiful view of Oxwich. The only wish I have is that we could do it all over again.